EUROPE partners submit a paper for the ICPCTREU 2019: 21st International Conference on Preventing and Countering Youth Radicalisation in the E that aims to share experiences and research results on all aspects of Preventing and Countering Youth Radicalisation in the EU. It also provides a premier interdisciplinary platform for researchers, practitioners and educators to present and discuss the most recent innovations, trends, and concerns as well as practical challenges encountered and solutions adopted in the fields of Preventing and Countering Youth Radicalisation in the EU. The final EUROPE conference presents the key results from the EUROPE project, that has been implementing and exploring the benefits of an innovative approach across 3 EU Member States (Portugal, the Netherlands and Sweden) to prevent violence and radicalization and promote social inclusion and integration through education: the Quiet Time with Transcendental Meditation Programme for schools (QT/TMP). Conference and workshop "Stress in the classroom"
EUROPE partners in a workshop to explain what you can do as a school to reduce stress and practical tools to better guide your students, based on EUROPE findings. 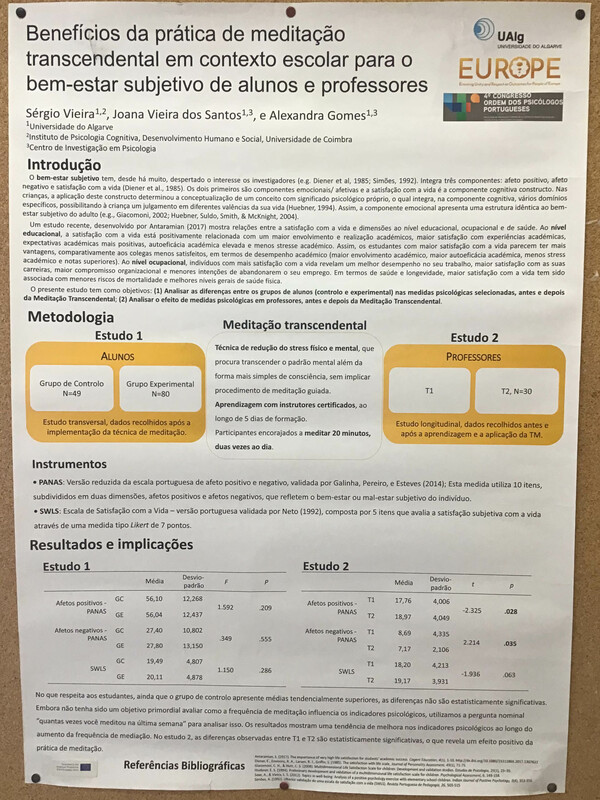 EUROPE partner University of Algarve submitted a sympysium on Time of Silence: Promotion of health in school context through transcendental meditation. 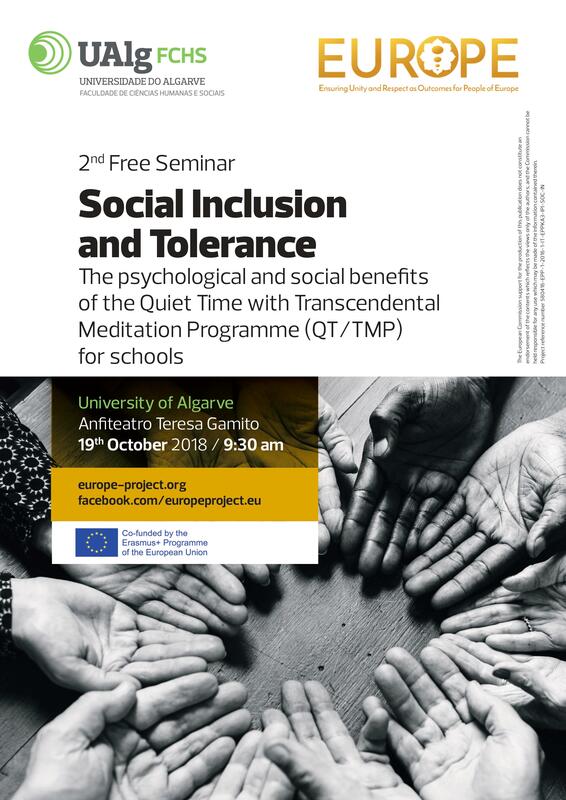 EUROPE project seminar on "Social inclusion and tolerance: The psychological and social benefits of Quiet Time" at University of Algarve, Portugal. EUROPE project seminar on “Social Inclusion and Tolerance – Education as key to Social Inclusion” at Utrecht University of Applied Science, the Netherlands.